XCOM 2 turns the tables on humanity by going 30 years on from Enemy Unknown and creating a world in which we lost the war against the aliens. 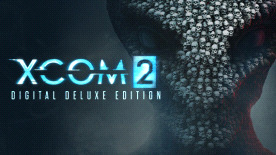 Now, the XCOM organisation operates from the shadows against seemingly unassailable odds, and that influences everything in this superb sequel. The situation is more desperate, which means we players have more choice – where will you strike? How will you take the fight to the ADVENT organisation and their alien overlords? How much are you prepared to sacrifice? Boasting more customisation, richer classes, more nuanced strategic options, and a global geoscape where every little decision.